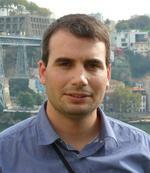 Epicentre's Jose Melo has just been awarded the Post-doc fellowship from the Portuguese Foundation for Science and Technology for his work titled "Characterization of the biaxial behaviour of columns built with plain reinforcing bars and development of semi-empirical models for concrete elements strengthening". This fellowship support the researcher up to 6 years to develop the proposed work plan. The candidate CV, work plan, host universities and supervisors are evaluated in the selection process. The maximum score was obtained for the candidate CV, host universities (Porto University and UCL) and supervisors. In the work plan is proposed perform a large experimental campaign on reinforced concrete columns with plan bars to assess the cyclic biaxial behaviour. The biaxial cyclic behaviour of this type of elements is almost unknown and the experimental available data is very limited. The experimental results will be very useful to calibrate numerical models that will better simulate the cyclic behaviour of old reinforced concrete structures. Based on the experimental data, semi-empirical models and strengthening and retrofitting solutions for reinforced concrete columns will be proposed and validated.